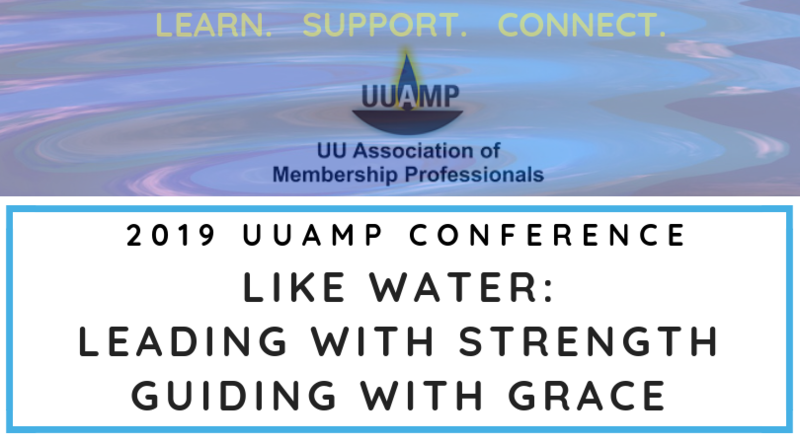 We are so pleased to offer a two-day UUAMP Conference where we can all connect, support and learn together. 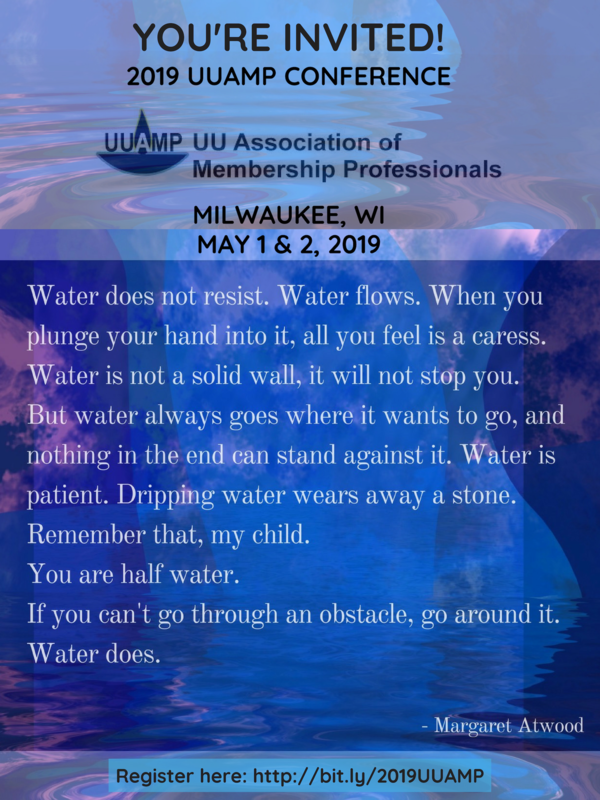 We look forward to being together at the First Unitarian Society of Milwaukee, Wisconsin on May 1 & 2, 2019! You can register here! The day begins on May 1st at 9:00 am with check in. We will wrap things up on May 2nd by 6:15 pm. We provide lunch on May 1st & 2nd and dinner on May 1st, with plenty of hydration, caffeine and snacks throughout! Keynote: "This is the Year: Answering the Call of Liberation"
We are so excited to announce Rev. Sofia Betancourt as our keynote speaker! Rev. Sofia Betancourt is a Ph.D. Candidate at Yale University in the departments of Religious Ethics and African American Studies. With a title drawn from Martín Espada's "Imagine the Angels of Bread," our keynote will focus on the imminent theological call to liberation in our congregational ministries. How we embrace this moment of possibility in our movement, how we radically re-imagine ourselves responding to the urgency of white supremacy in our times, has everything to do with how we "do church" in these days. This is the year to imbue our administrative expertise with an unflagging, justice-centered purpose. 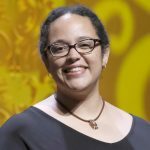 Her work focuses on environmental ethics of liberation in a womanist and Latina feminist frame. She served for four years as the Director of Racial and Ethnic Concerns of the Unitarian Universalist Association, and her ministry centers on work that is empowering and counter-oppressive. Betancourt holds a B.S. from Cornell University with a concentration in ethnobotany, an M.A. and M.Phil from Yale University in religious ethics and African American studies, and an M.Div. from Starr King School for the Ministry. We are excited to learn from her! People seek out our religious faith for many reasons. Some may do so as the result of a traumatic life event, including, but not limited to, the trauma of leaving their previous religion, a phenomenon called Religious Trauma Syndrome. How do we welcome these souls into our congregations? How do we create nurturing and supportive environments that keep people safe and that help people heal? We will discuss the nature of trauma, what trauma may look like, and how to create a “trauma-informed” congregation. Mark Bernstein is a proud member of the UUAMP Board of Directors. He serves as Adjunct Staff for the Central East Region of the UUA and is a 25 year member of the UU Church of Delaware County in Media, Pennsylvania. Change and stress are a natural part of a church’s life cycle, and thriving during times of stress requires specific leadership skills. Leaders who are aware of stress in our congregations and have the skills to notice the symptoms of it can help their churches remain resilient and productive rather than becoming fragmented and destructive. This workshop will help congregations by teaching them to identify signs of stress, either current or historical, and assess the leadership qualities needed to address it. Focusing attention on non-anxious leadership can help teams and leaders manage their own anxiety and help the congregation remain healthy through inevitable times of change. Jan Gartner is the Compensation and Staffing Practices Manager for the UUA and was the staff support for UUAMP when UUAMP first formed. Karen Hyams serves as Engagement Coordinator for Woodinville UU Church in the forest outside Seattle, and currently serves on the Board of UUAMP. Part of helping people connect fully with their congregation is helping them feel confident in their faith identity as Unitarian Universalists. A side-benefit is that when people feel like they understand and appreciate their UU identity, they want to share their faith, and their community, with others in their lives! Come learn fun and meaningful ways to incorporate UU faith formation within membership and congregational life. Rev. Christina Leone-Tracy is the senior minister of the Fox Valley UU Fellowship in Appleton, WI. She has served there since August 2017 and was the Faith Development Minister at the UU Church of Annapolis, MD from 2011-2017, where her ministry included religious exploration for children, youth, and adults, including the adult membership program. She is the creator of the Wonder Box time for all ages method, Middle Hour (a multigenerational community-building strategy), served on the UUA's Religious Education Credentialing Committee, and has presented workshops and in worship at General Assembly. Christina is a proud UU evangelist-- passionate about sharing Unitarian Universalist faith and identity with anyone she meets, particularly those within her own congregation! Recruiting volunteers can be hard. Recruiting volunteers who are passionate can seem impossible. We will explore the spiritual aspects of volunteer service as they relate to interests, skills, and ownership in a congregation. Beginning with the spirituality of serving as a volunteer we will move towards practical recruitment techniques to boost participation and enthusiasm. Working on a staff team can be complicated, especially in a Unitarian Universalist congregation where different groups and individuals have varying levels of authority and power. This workshop is for Membership Professionals who are searching for better ways to have difficult conversations, whether they are with members, visitors, supervisors, the Board, or congregation. We will look at ways to develop positive relationships (especially during challenging times), communicate feedback in timely and direct ways, listen to others, advocate for oneself and the role of membership professional, and positively adapt to situations that are less than optimal. There will be time for conversation and questions are welcome! Reverend Dittmar graduated from Harvard Divinity School in 1997. She served eighteen years as Minister at First Unitarian Church of Cincinnati (1998-2016). In 2016 she began work as Congregational Life Field Staff with the MidAmerica Region. We are so thankful that the Unitarian Society of Milwaukee is willing to host us again! Here is a map to the Unitarian Society of Milwaukee. King rooms (QTY 3) $99.99. Includes one free parking per room, free wifi, and free breakfast. Small hotel with a well-reviewed restaurant. Limited rooms available; reserve by April 1, 2019. 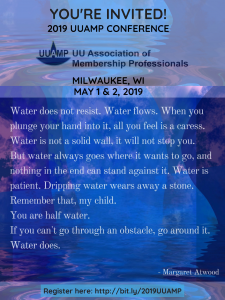 414-272-5273; Reference UUAMP &/or First Unitarian Society of Milwaukee. Standard Queen or King rooms $109.99/night (single/double occupancy- no rollaway beds permitted). Free wifi, parking $18/night/vehicle, all rooms include kitchen/kitchenette. Reserve by April 2, 2019. After that, conference rate will be honored if rooms are available. 414-276-8500; Ask for block reserved by Caron Armstrong for the Unitarian Universalist Conference. Ground transportation from the Milwaukee airport is very easy to reserve online with GoRiteway. The quote to & from County Clare Inn would be $15 each way. If you’re a member of UUAMP, please feel free to post on the facebook group about sharing a room & transport with another UUAMP member! We will provide lunch and dinner on the 1st, and lunch on the 2nd along with drinks and snacks throughout the conference. 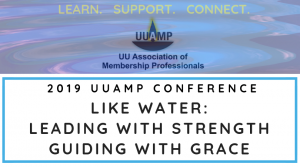 If you aren’t a member of UUAMP, but want to be, please fill out this form and send in the $50 for the yearly dues fee along with your Member fee of $150 for the Conference fee (total of $200). Looking forward to seeing you. Please let us know if you have any questions!